After 30 years of traveling along NC Highway 64 through Davie County to pick up furniture from the Hickory/Lenoir area, Shelba D. Johnson Trucking, Inc., a leader in the furniture transportation and delivery industry, has opened a furniture distribution center in Mocksville. Another Vacant Building Back in Business – Hiring Now! 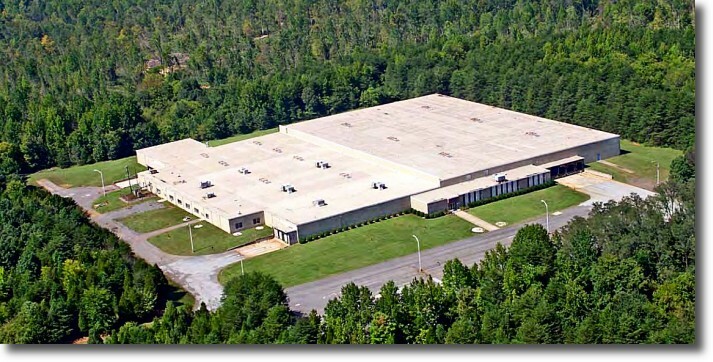 The Lexington center currently provides warehousing and distribution services to 40 furniture manufacturers including Intercon Furniture, A-America, and Legends Furniture. The Mocksville site will provide storage and distribution for Stanley Furniture’s Stone & Leigh youth furniture line as well as other manufacturers as needed. Joe Wade, president and owner of Shelba D. Johnson Trucking, is amazed at how quickly their warehousing operation has grown. About Shelba D. Johnson Trucking, Inc.
Headquartered in Thomasville, NC, Shelba D. Johnson Trucking, Inc. has been a leader in the furniture transportation and delivery industry for 30 years. The company has approximately 4,000 active customers in 23 states and territories along the eastern seaboard of the United States, some mid-western states and Texas. Their customers include premier retail organizations as well as home decorators and ‘Mom and Pop’ furniture stores. Shippers include the traditional furniture manufacturers, importers, marketers, internet entrepreneurs and contemporary furniture creators. Shelba D. Johnson Trucking operates a fleet of more than 170 trucks and 550 trailers, including owner operators, from its terminals in Thomasville and Archdale, NC. Offering daily pick-up and delivery, the company’s trucks will travel around 18 million miles this year.